If this item shows out of stock in the shopping cart, please allow a minimum of 14 days for delivery or contact us for details or other models in stock. 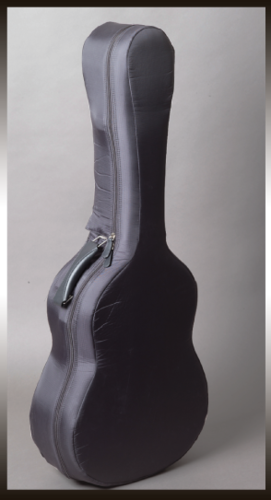 Visesnut Dreadnought Soft Cover - for snug fitment and further protection for your guitar and Visesnut case. Includes a TSA approved lock for safety when traveling. Checkout our full listing of Visesnut cases and covers. Q: Hello, I was wondering what the dimensions were for this case? Looking for a suitable cover for my accord flight case. The Visesnut covers are really designed specifically for their cases and we do not recommend them for other brands. A Visesnut Dreadnought case has an upper bout of 13.78in, lower bout of 17.91in and total length of 43.7in. I do not have a measure on the depth however.